Data may seem to play only a supporting role in child welfare programs, but it can have a big impact on an agency’s work. 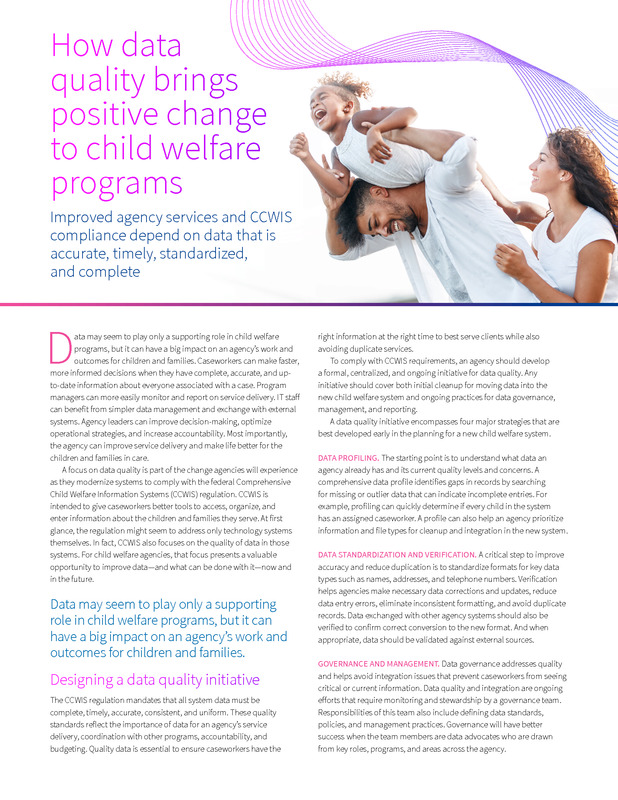 A focus on data quality is part of the change agencies will experience as they modernize systems to comply with the federal Comprehensive Child Welfare Information Systems (CCWIS) regulation. For child welfare agencies, that focus presents a valuable opportunity to improve data—and what can be done with it—now and in the future. This paper highlights how agencies can design an effective data quality initiative and modernize their child welfare systems to deliver better outcomes for children and families.